Most product owners I’ve met are smart and keen to understand their audiences as much as possible, but commitment is variable. Making time is the key challenge. But there are a number of ways to bring them close to users and it’s important to offer options that are easy to access and calibrated to the time available. 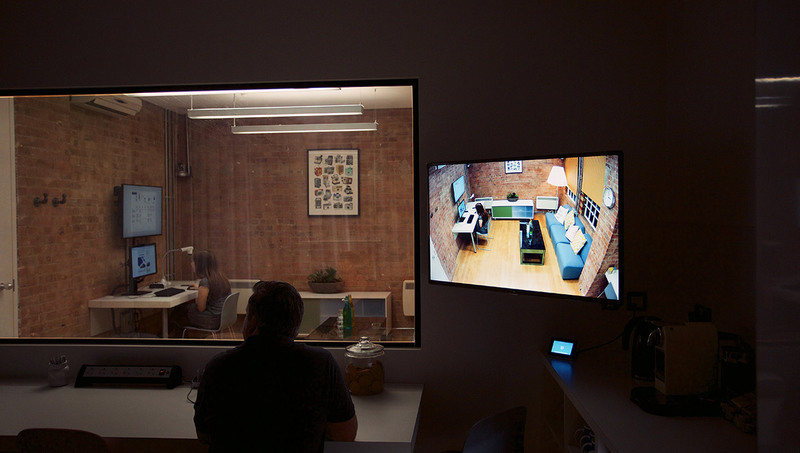 User research is often conducted in viewing facilities designed to make observation simple and comfortable. However, stakeholders often don’t have the time to watch them all. 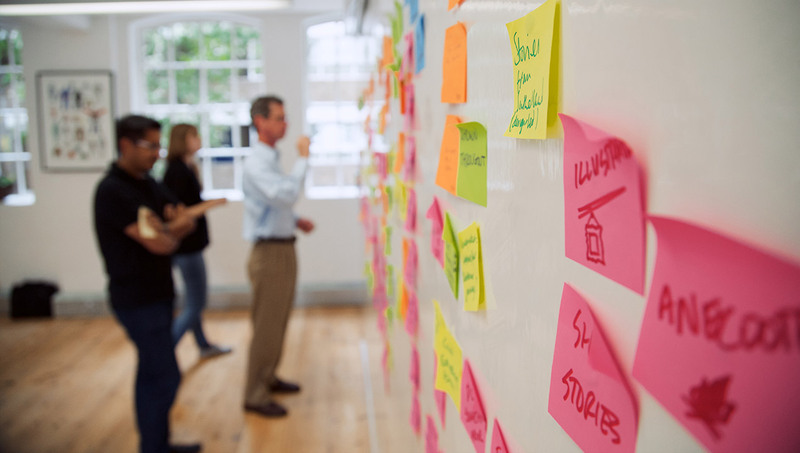 You can help those dropping in by using post-it notes to construct a running analysis on the walls so anyone dipping in and out of sessions can get a concise understanding of what’s been happening. If stakeholders can’t attend, sessions can be securely video-streamed live, or made available online afterwards. Time is always a pressure, so we’ve found its very useful to provide a one-two sentence summary of each session, pointing users towards key moments. It’s becoming ever-more useful to understand user needs by observing them in their own environment. We’ve seen some revelatory moments for clients when they come with us. For example, the moment one client saw users find a helpdesk number via web search, rather than the Help Centre that had been built for them. They’d previously been mystified by CSAT complaints that the number was hard to find (it was on the Help Centre home page), until they saw in real time the many steps needed to reach that content. Inviting stakeholders can give them a deeper understanding of user needs, but there are practicalities as observers meet them face-to-face. An effective observer briefing is very important in helping observers to attend without unduly influencing whats happening. We’ve also found it’s helpful to give observers a role and reason for being there (from the user perspective). Photos and video are immensely useful artefacts to gather, so giving observers the role of capturing these can be very helpful for all concerned. Online user diaries are an immensely helpful way of capturing relevant user behavior over time. Diaries can be shared with stakeholders, to help them build their understanding, ideally in daily chunks. User photos taken by smartphones can be a particularly interesting and easily digested dip into user lives in unexpected ways. For example, on one project users supplied screenshots from an app which answered a design question we weren’t aware of – should they optimize for landscape or portrait views? Stakeholders can also be encouraged to join diary studies as participants. While care is required in handling their results, diary participation can help even the most knowledgeable product owners reflect more on use. User needs and design workshops, synthesizing user experiences and identifying next steps are typically conducted without users being present. This is a missed opportunity. 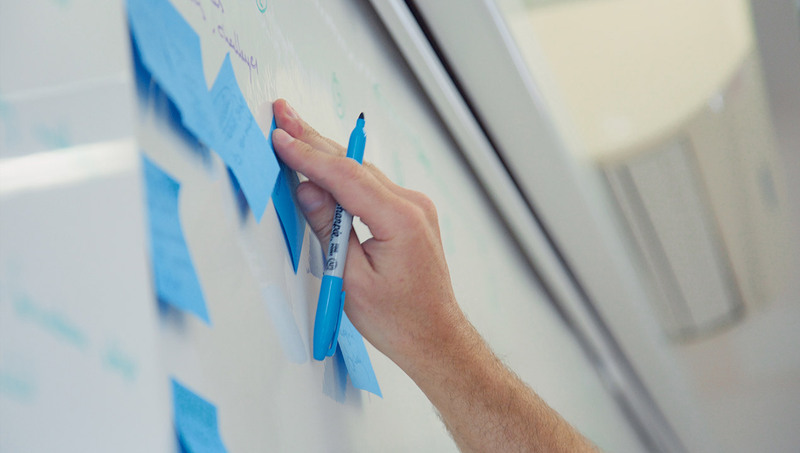 For example, in journey mapping workshops, we’ve seen stakeholders often able to identify customer touchpoints and possible issues, but have a much harder time understanding customer impact and so make changes that will really make a difference. If you are trying to understand a user challenge, prioritize these, or design solutions, it can be immensely helpful to have real users participating in the exercise. We’ve seen vague design ideas discarded for internal reasons which triumphantly re-emerge and develop after working with customers. It requires careful briefing and facilitation, but it’s rare for participants to come away from these and not be genuinely stimulated by the event, particularly around emotive issues such as complaints handling or anything involving health. Product managers, IT, Marketing and Operations staff may all be true professionals, but working on products they’ve not directly experienced themselves. Encouraging product use and particularly informally observing real use before a project starts can build invaluable empathy and knowledge. A great example of informal product observation is the Follow Me Home programme run by Intuit, which has helped them to create industry-leading software. Staff members are encouraged to periodically visit real customers using their products. Even periodic customer visits require a commitment and desire to understand the customer experience first-hand, so those involved need to perceive a value and make the customer experience the responsibility of all staff. 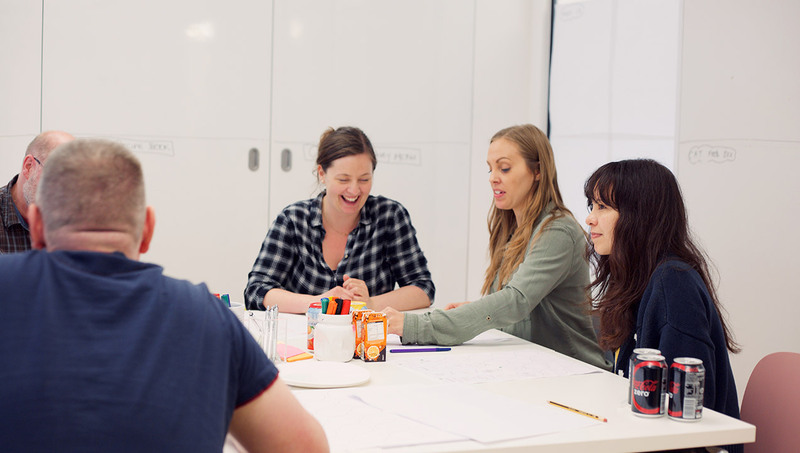 Internal training, mentoring and skills building workshops can be an important activity for a UX team. It increases commitment and also equips product teams with some basic skills to do some of their own research. While their time and capability to do so may be more limited, the more customer research, the better the product or service will be.